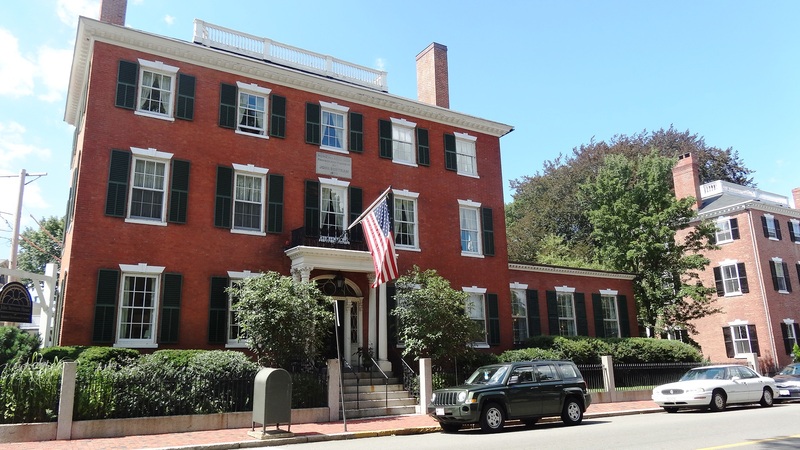 Salem is the county seat of Essex County, which extends from north of Boston to the New Hampshire border, encompassing a great marsh, a rocky coastline, the Merrimack River,and what used to be fertile farmland in between. Now much,but not all, of it is residential, but because of its early development (just after Plymouth, to the south of Boston), the marsh, and some early conservation and preservation efforts there remains a seemingly-eternal landscape that is both natural and man-made. 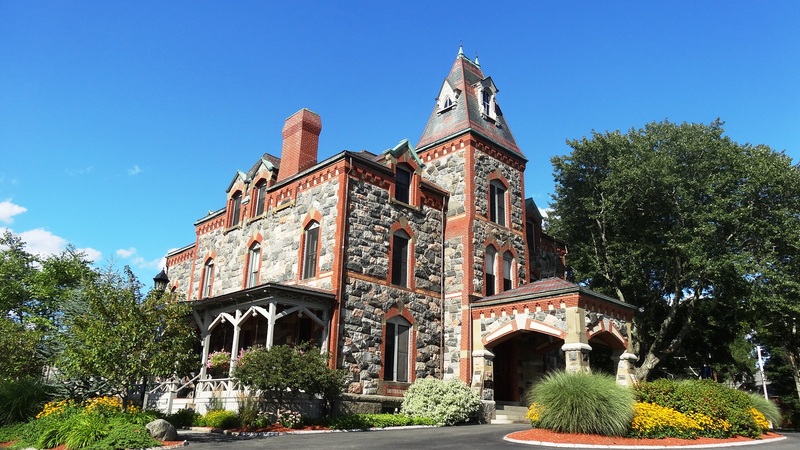 The county is full of long-established towns with clearly-defined centers and commons, even though progressive sprawl has blurred the lines of distinction among them. 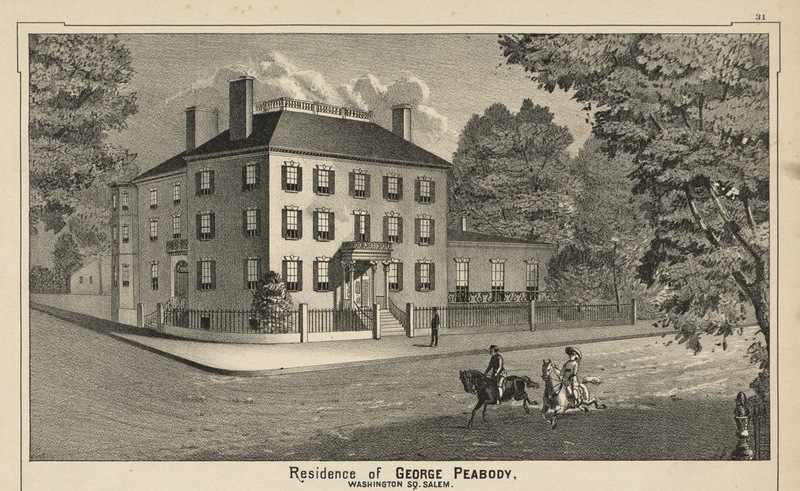 There are seventeenth-century, “First Period” houses in several Essex County towns (with Ipswich claiming the most) and eighteenth-century houses everywhere. 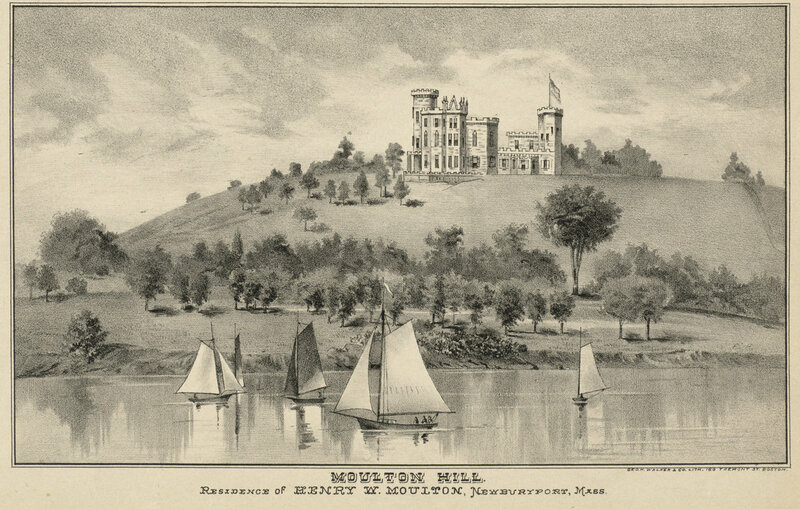 When I was a teenager and in my early 20s, Essex County was just a place to drive through, between Boston and my hometown in southern Maine, but then I began turning off route 95 and exploring a little: first the old seaports, Salem, Gloucester, Newburyport, then the smaller coastal and inland towns between the ports and the highway, and then the Merrimack Valley, still bearing the structures of its early industrial revolution. Now that I live here, I still go exploring, and find new (old) houses, roads, and landmarks every time. 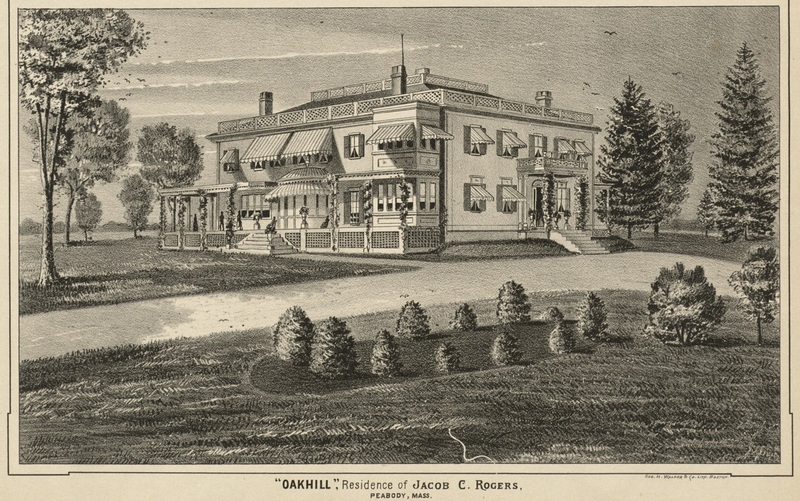 Over a century ago, Boston lithographer and publisher George H. Walker encouraged the exploration of Essex (and other) counties by issuing a series of “driving maps”, birds’ eye views, and lithographs of the notable structures of the region: “stately” homes, factories, educational establishments, public buildings. 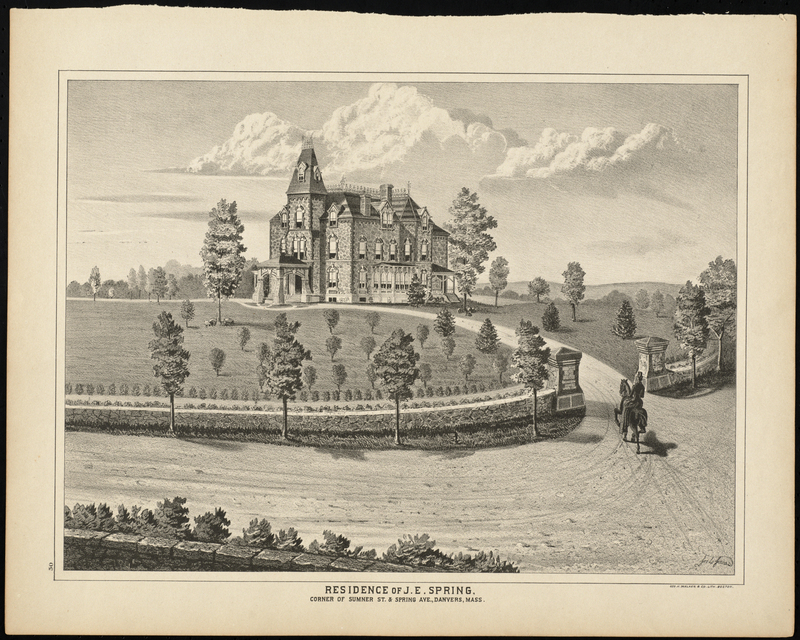 A large collection of his Essex County lithographs was donated to the Archives of Salem State University earlier this summer, and they are now online, with great descriptions written by a former student of mine. Published in 1884, in the midst of an age of dynamic growth and industrialization, these images seem to harken back to an earlier Arcadian age. They are beautiful in a very idealized way: prancing horses dance about and even the factories are pristine. But as you can see below (in just a sampling of the entire collection), where I’ve managed to contrast a Walker lithograph with a standing structure, the architectural details are quite delineated. 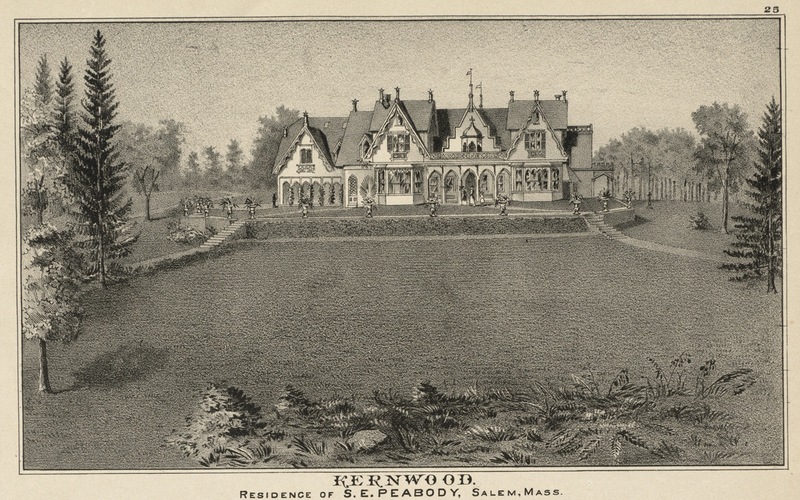 Walker’s Salem Lithographs: the Kernwood Estate in North Salem (now radically reconstructed as the clubhouse of the Kernwood Country Club), the Kimball House (built by Nathaniel Silsbee and now the Knights of Columbus) & the George Peabody House (now the John Bertram House, a senior living community). 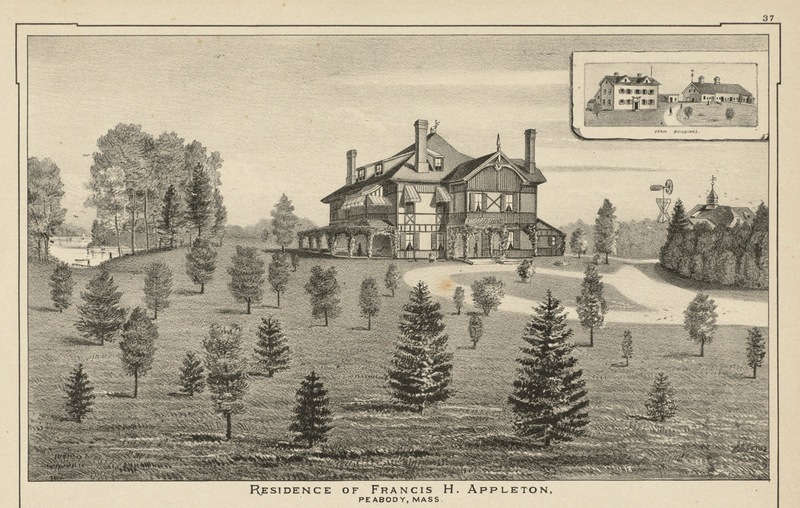 Two long-lost houses in nearby Peabody: the very eclectic Appleton estate, and Samuel McIntire’s “Oak Hill” shown in Victorian guise–now the site of the Northshore Shopping Center! 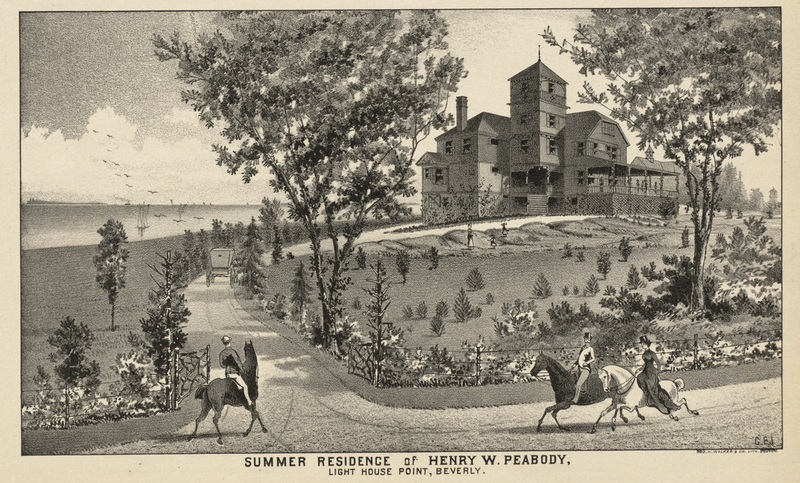 Another Peabody (family, not town) house: the summer residence at Light House Point in Beverly, where President Taft summered, and the Spring residence in Danvers, now the administrative building of St. John’s Preparatory School. 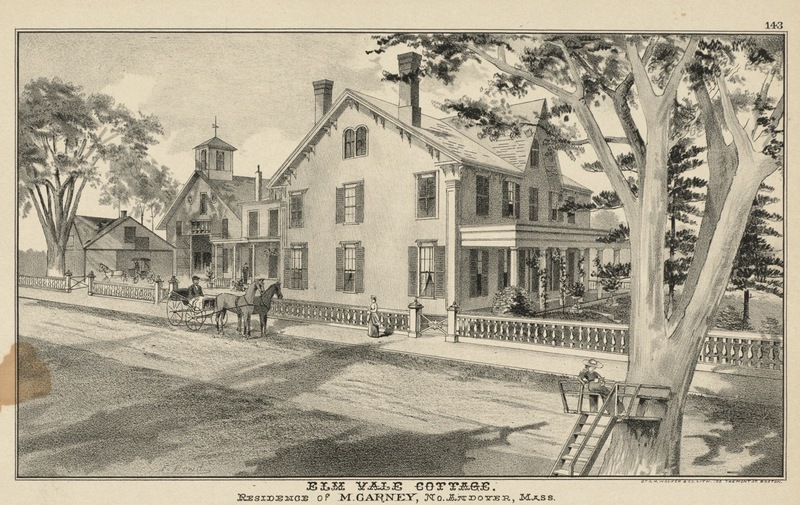 The very charming Elm Vale Cottage in North Andover (I don’t know if this is still standing; I’ll have to go exploring), and the long-gone Moulton Castle in Newburyport, situated on the Castle Hill that is now part of Maudslay State Park. 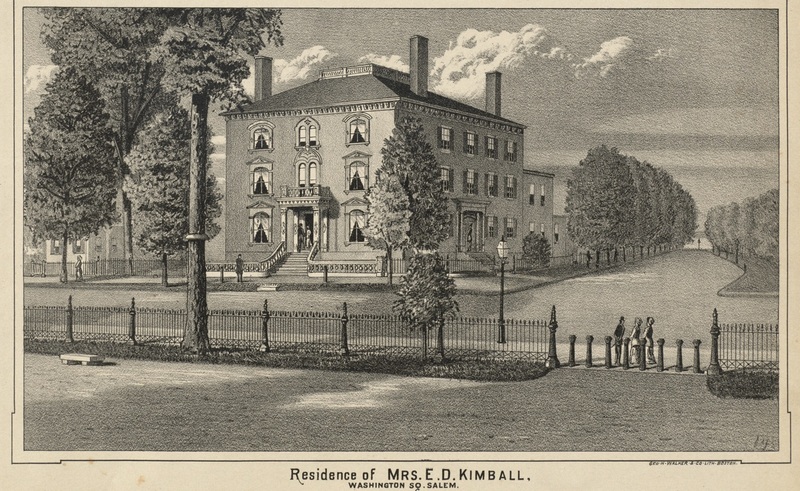 This entry was posted on Tuesday, August 13th, 2013 at 9:03 am	and tagged with Architecture, Archives, Art, ephemera, Essex County, Massachusetts, print culture, Salem State University and posted in History, Houses, Salem. You can follow any responses to this entry through the RSS 2.0 feed. I think Moulton Hill is still standing; you can go on tours. IF that’s the one I’m thinking of. The “J.E. 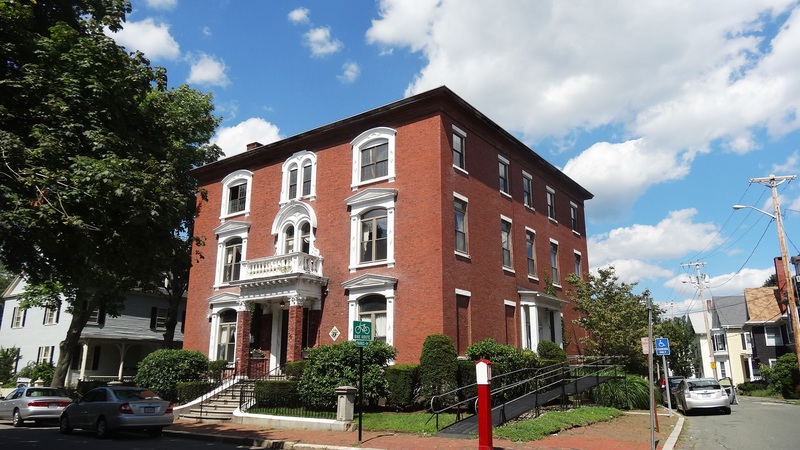 Spring” picture looks similar the Home for the Deaf in Danvers. Very cool post, by the way! Really about Moulton? I thought it was long gone–I’ve got to check it out…no I don’t think so, Erin.